When you've been reading the same book seven times a night for a year, you want to burn the book by month two, no matter how good it is. Or make sure it goes out of print, find all the rare copies, and then burn all of those. I do not enjoy reading to my children. Which is an ironic twist of fate, since in my past life, I was an editor at a children's publishing house. When my firstborn was an infant, I fantasized about cozying up together on the couch and reading my childhood faves like Madeline or Make Way for Ducklings. I wasn't yet aware of the realities of motherhood: the bone-dead tiredness I would feel once story time came around; the annoying tendency of children to interrupt every other word of text with a question; or, the fact that long leisurely bedtimes totally cut into my drinking hour. 1. 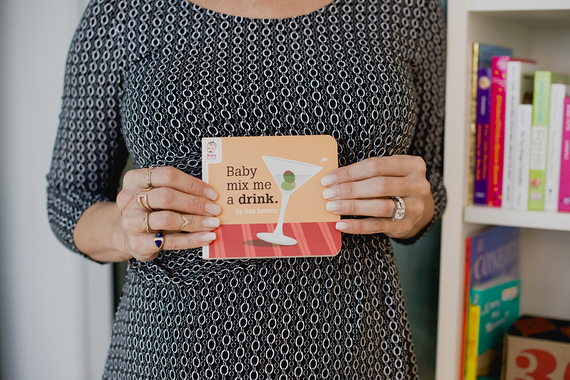 All baby books should self-destruct after two months. As a baby, my now 4-year-old insisted I read the same two books to him for an entire year: A book that had different trucks on every page and absolutely no story (page 1. "Dump truck." Page 2. "Fire truck." Page 3. "Front loader.") and the Eric Carle classic, Brown Bear, Brown Bear, What do You See? When you've been reading the same book seven times a night for a year, you want to burn the book by month two, no matter how good it is. Or make sure it goes out of print, find all the rare copies, and then burn all of those. 2. Babies don't need encyclopedias. My 19-month-old's favorite books include one of those Baby's First Words books that, like the aforementioned trucks book, has no story and includes about 20 microscopic, labeled photographed images per page. Page one identifies every part of a human face, and page two identifies body parts. Pages three through ten are pictures of objects you might find in a house, plus several items that don't exist anymore because the book was originally published in like, 1980: A rotary telephone, a crib that screams "SIDS" and a bar of soap. 3. This is not the last book on Earth. About halfway through the book that I thought was about body parts and household items, I turn the page, and all of a sudden the book is like, "Animals!" and there are three pages of animals, and then -- just to make sure they've covered all the bases, the last two pages are shapes and numbers. It is like the editors were running out of room but didn't want anyone to be like, "Hey, I was relying on this book to teach my kid ALL of his first words, and I feel like you've missed about 15 percent of them." 4. Do these people not have kids? My baby's other favorite book is Spot Loves His Daddy. This one thrills me, because I'm the one reading it to him every night since my husband is still at work during bedtime. It is a book about how much Spot loves his dad because of the ONE Saturday that Daddy takes Spot to the park without Mommy so she can get a Brazilian for Date Night. Spot's dad rocks because he shows Spot how to feed the ducks and kicks a ball around with him, which I am guessing lasts a good 20 minutes before Spot's dad zones out and goes back to checking out hot girls on Instagram. I haven't seen the companion title to this one, Spot Loves His Mommy, but I'm guessing it features Spot's mom dragging poor Spot to the organic food store, then to Starbucks and then they go home where she puts on the Sprout channel and then runs into her closet to take a hit from her Vape pen. No? 5. Hey, what happened to the classics, Little Golden Books? My 4-year-old son recently received a D.C. Comics superhero-themed, Little Golden Book-titled, Bad Weather. I have a good guess as to how they came up with that one: Some publishing exec looked at her pipeline and was like, "Hey we need a book that is neither seasonal, nor holiday-related, nor can it be emotional, social-skills related or have any real literary value. Just make sure you include all the superheroes since the history of time on EVERY. SINGLE. PAGE. because, you know, we hate parents." 6. Again, do these people even have children? Children are extremely literal, and skilled at finding and perseverating on any inconsistencies in a story. So, when Green Lantern saves Gotham's baseball team from hail by covering the whole field in a large umbrella, my son wants to know why the umbrella seems to not be covering one of the players on the field. Then he's concerned about that one player getting hit by hail. A few pages later, Green Arrow has launched two arrows at some bad guys but the illustration shows three arrows. Ten more minutes of discussion ensue. Finally, he asks me, "What is hail?" 7. We weren't ready to talk about "thugs" yet. At some point a preschool book throws a "bad guy" into the story. Up until now, most of his books have been pretty benign (see: books about trucks, cars or pizza). Suddenly, he is being introduced to "evildoers", "thugs", "ice-cold criminals" and "villains." I'm all about expanding my son's vocabulary, but isn't that what school is for? Because I'm tired. 8. There are way too many characters in one story. A child under five can't keep track of more than what -- three, five characters per story? My son's new Little Golden Book book is not entirely dissimilar to a Dostoyevsky novel. The second-to-last spread features nine different characters engaged in multiple types of lethal combat. My son cannot keep up with the involved choreography of this guy beaming a laser to that guy, or this superhero using heat vision over here and that guy punching the other guy over there. I fear he will short-circuit trying to take it all in. 9. Too long! Seven hours later, the sun is nearly rising, and we are finally done with the book but of course, we are not "done, done" with it. As we brush teeth, he's asking me: Who are the bad guys that we know, and how exactly, does Superman fly? Why is Mr. Freeze so mad? Why are Mr. Freeze and those other guys hiding in the zoo? These are not the "book club" discussions I romanticized. Anyway, as the author and editor of some of the worst children's books in your child's library, I apologize. I sincerely do. Tonight, when you're snuggling next to your child who is insisting that he is not tired, and you're out of your mind exhausted and he is asking you ten thousand questions about the book that you've read to him a million times, just think: I'm right there with you. I created a monster, and now I too am suffering its wrath. And no superhero can save me.